The Rent Control Board is composed of five elected members, often referred to as Commissioners. The Board usually meets one or more times per month on Thursday at 7:00 p.m. in Council Chambers in City Hall. The agenda is posted outside the Rent Control Office, and any staff report is available for review at the public counter. 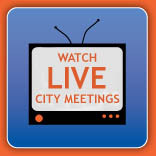 The Board encourages City residents to attend its meetings, particularly when a public hearing is scheduled. This provides the Commissioners an opportunity to hear comments on proposed regulations and programs. Commissioners also read all letters addressed to them. If a letter asks the Board to act on a particular matter, the letter may be placed on the meeting agenda.